This is designed for Algebra 2, Trigonometry, AP Statistics, and Pre-calculus students to test their probability skills. There are 3 difficulty levels, each with many unique problems. Practice Problems are the easiest problems on the sheet. 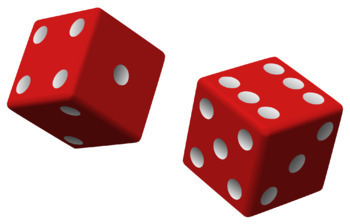 They are a great way students to refresh themselves on their probability skills. Advanced Problems are designed to require an intimate understanding of the material. They are perfect for a test or quiz, as students who have understood the unit will be able to complete them. 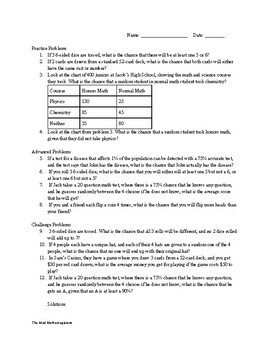 Challenge Problems are designed to challenge even the most mathematically savvy students. They are perfect for extra credit problems, and will require some outside the box thinking to complete.